Cuban leader Fidel Castro (1926-2016) established the first communist state in the Western Hemisphere after leading an overthrow of the military dictatorship of Fulgencio Batista in 1959. He ruled over Cuba for nearly five decades, until handing off power to his younger brother Raúl in 2008. During that time, Castro’s regime was successful in reducing illiteracy, stamping out racism and improving public health care, but was widely criticized for stifling economic and political freedoms. Castro’s Cuba also had a highly antagonistic relationship with the United States–most notably resulting in the Bay of Pigs invasion and the Cuban Missile Crisis. The two nations officially normalized relations in July 2015, ending a trade embargo that had been in place since 1960, when U.S.-owned businesses in Cuba were nationalized without compensation. Castro died on November 25, 2016, at 90. 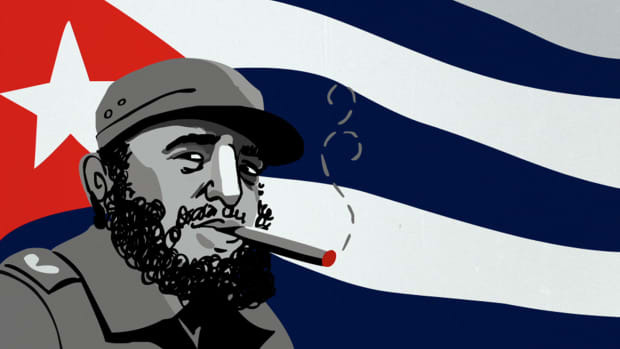 Castro was born on August 13, 1926, in Birán, a small town in eastern Cuba. His father was a wealthy Spanish sugarcane farmer who first came to the island during the Cuban War of Independence (1895-1898); his mother was a domestic servant for his father’s family who bore him out of wedlock. After attending a couple of Jesuit schools–including the Colegio de Belén, where he excelled at baseball–Castro enrolled as a law student at the University of Havana. While there, he became interested in politics, joining the anti-corruption Orthodox Party and participating in an aborted coup attempt against the brutal Dominican Republic dictator Rafael Trujillo. Did you know? In addition to the Bay of Pigs invasion, the United States made several failed attempts on Fidel Castro&apos;s life, including poisoning his cigars with Botox. In July 1953, Castro led about 120 men in an attack on the Moncada army barracks in Santiago de Cuba. The assault failed, Castro was captured and sentenced to 15 years in prison, and many of his men were killed. The U.S.-backed Batista, looking to improve his authoritarian image, subsequently released Castro in 1955 as part of a general amnesty. Castro ended up in Mexico, where he met fellow revolutionary Ernesto “Che” Guevara and plotted his return. 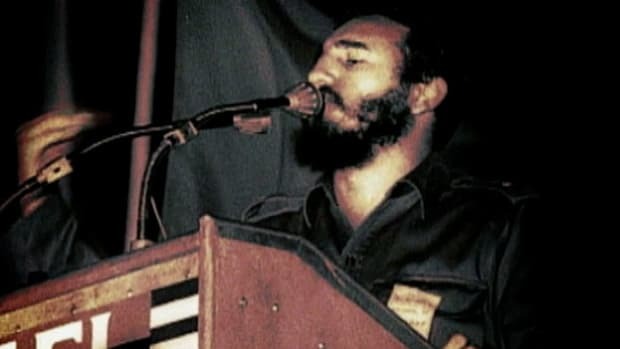 The following year, Castro and 81 other men sailed on the yacht “Granma” to the eastern coast of Cuba, where government forces immediately ambushed them. The estimated 18 survivors, including Castro, his brother Raúl and Guevara, fled deep into the Sierra Maestra Mountains in southeastern Cuba with virtually no weapons or supplies. 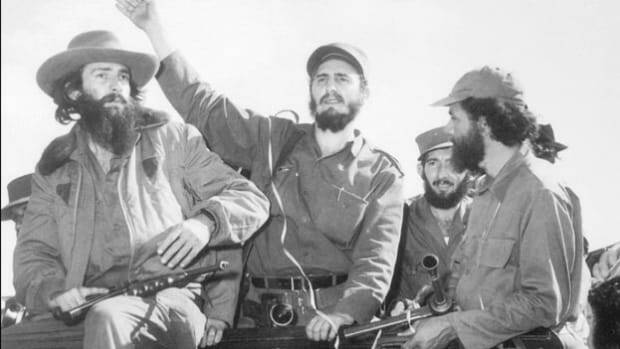 According to Castro, the revolutionaries started reorganizing with only two rifles,. But by early 1957 they were already attracting recruits and winning small battles against Rural Guard patrols. 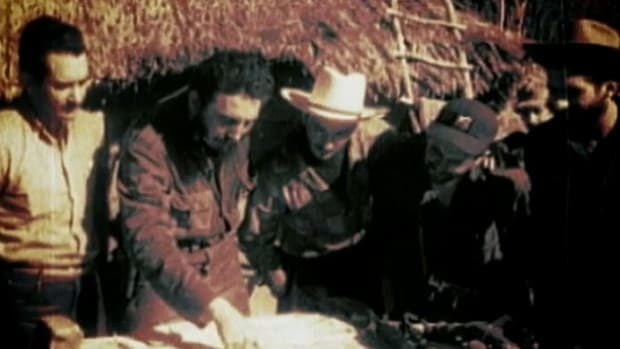 “We’d take out the men in front, attack the center, and then ambush the rear when it started retreating, in the terrain we’d chosen,” Castro said in his spoken autobiography. In 1958, Batista tried to snuff out the uprising with a massive offensive, complete with air force bombers and naval offshore units. The guerrillas held their ground, launched a counterattack and wrested control from Batista on January 1, 1959. Castro arrived in Havana a week later and soon took over as prime minister. At the same time, revolutionary tribunals began trying and executing members of the old regime for alleged war crimes. In 1960, Castro nationalized all U.S.-owned businesses, including oil refineries, factories and casinos. This prompted the United States to end diplomatic relations and impose a trade embargo that still stands today. Meanwhile, in April 1961, about 1,400 Cuban exiles trained and funded by the CIA landed near the Bay of Pigs with the intent of overthrowing Castro. Their plans ended in disaster, however, partially because a first wave of bombers missed their targets and a second air strike was called off. Ultimately, more than 100 exiles were killed and nearly everyone else was captured. In December 1962, Castro freed them in exchange for medical supplies and baby food worth about $52 million. Castro publicly declared himself a Marxist-Leninist in late 1961. By that time, Cuba was becoming increasingly dependent on the Soviet Union for economic and military support. In October 1962, the United States discovered that nuclear missiles had been stationed there, just 90 miles from Florida, setting off fears of a World War III. After a 13-day standoff, Soviet leader Nikita Khrushchev agreed to remove the nukes against the wishes of Castro, who was left out of the negotiations. In return, U.S. President John F. Kennedy publicly consented not to reinvade Cuba and privately consented to take American nuclear weapons out of Turkey. After taking power, Castro abolished legal discrimination, brought electricity to the countryside, provided for full employment and advanced the causes of education and health care, in part by building new schools and medical facilities. But he also closed down opposition newspapers, jailed thousands of political opponents and made no move toward elections. Moreover, he limited the amount of land a person could own, abolished private business and presided over housing and consumer goods shortages. With political and economic options so limited, hundreds of thousands of Cubans, including vast numbers of professionals and technicians, left Cuba, often for the United States. From the 1960s to the 1980s, Castro supplied military and financial aid to various leftist guerilla movements in Latin America and Africa. Nonetheless, relations with many countries, with the notable exception of the United States, began to normalize. Cuba’s economy foundered when the Soviet Union collapsed in the early 1990s and the United States expanded sanctions even further. Yet Castro, who by this time had switched his title from prime minister to president, found new trading partners and was able to cling to power until 2006, when he temporarily gave control of the government to Raúl after undergoing emergency intestinal surgery. Two years later, in 2008, he permanently resigned. 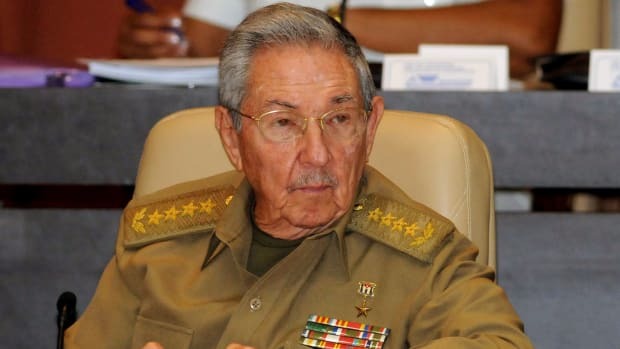 Castro died on November 25, 2016, at the age of 90. His death was announced on state television and later confirmed by his brother Raúl. Castro will be laid to rest in the city of Santiago de Cuba.